The 5 in 1 Super Castle Module Combo offers is one of our most popular rentals. It is a generic theme good for boys and girls. It offers a fun bouncing area with pop-ups / indoor basketball goal / climbing wall / sliding area. 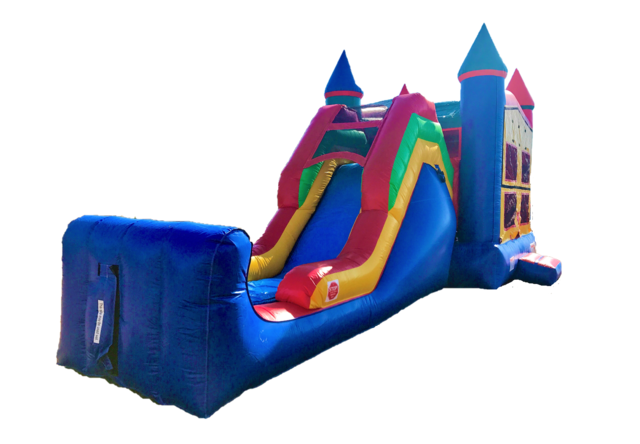 This unit is available to be used as a water slide, if you want to include the water slide option, click here.